But Amazon workers still prefer to overlook or change your corrections, even if you can prove the corrections are accurate. I am posting the above URLs here as a public service, because some of them are hidden or buried on the respective websites. For me, the best part of exploring a new language is learning the taboo words, the words that carry an unnatural amount of power... the dirty words. It's fun to chat with a group of foreigners and drop a carefully-timed expletive into the conversation. They all look at you like you're a... well... a foreigner, and marvel at the fact that even though you don't know how to say "sorry" or "excuse me" in their language, you DO know how to say "motherf*cking c*cks*cker" with exquisite pronunciation and perfect inflection. Most of the time, they will laugh. But even if they don't, it's okay. Nobody wants to hang around a bunch of prudes, anyway. So acquiring a healthy vocabulary of swear words has always proved to be a very useful exercise, even if it just filtered out the tight*sses. When I married Anikó fourteen years ago, one of the first things I asked her to teach me was how to curse in Hungarian. 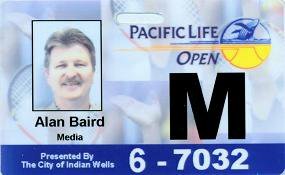 In 2006, Palm Springs Life magazine sent me to cover a tennis tournament at a large stadium near our office. According to the program, one of the competitors was from Romania. However, I was almost sure that he was mumbling to himself in Hungarian. I imagined that he came from a long line of proud Székely warriors, who had suffered under Romanian oppression for nearly a century. As the match wore on, and his performance started going from bad to worse, he shouted a single filthy word in Hungarian. It was unmistakable. When I heard it, I let out an involuntary laugh. Judging from the silence all around me, I was the only spectator in the 16,000-seat stadium who understood what he was saying. After the next point--which he lost--there was another Hungarian profanity. I laughed at that one, too. He smiled up at me. But the match was turning into a disaster for him, and he started yelling many different, colorful phrases. I marveled at his creativity, and laughed every time. The referee couldn't understand the words, so he didn't stop the guy. But the crowd began to catch on, and every time I laughed, they laughed, too. At the end of the match, the player walked over to my part of the stands, and held out his hand. I walked down to shake it, and to offer my condolences. He said the loss was not as painful as it might have been, because he had enjoyed expressing himself freely, so far from home, in front of a guy who clearly understood his frustration.